For many, the kitchen is more than just a room — it’s an epicenter for all activity in the home. That being said, not having a kitchen that suits your wants, tastes, and needs can be a major deterrent. If you find yourself relating to this, maybe it’s time for a kitchen and remodeling project. These projects don’t only benefit you — but they increase the value of your home in the long run. For every 1,000 square feet added to a home, around 30% of the home’s sale price increases. Additionally, home remodeling projects in the kitchen typically have a return of investment (ROI) of 81.8%. Did you know that the modern day kitchen has been designed with ergonomics in mind — namely, the occupants’ comfort and efficiency levels? Because of that, kitchens have been designed with proximity, function, and ease in mind. Don’t forget or forgo this when remodeling your own kitchen! While having an aesthetically pleasing space, the beauty of your kitchen should mirror its functionality and ease of use, making it a space you want to spend more time in. Keeping ergonomics in mind, there’s nothing more frustrating than too little counter space in a kitchen. Countertops should be around 25 inches, with a slight overhang to prevent sauce and mess from dripping directly onto your lower cabinets. If your oven, dishwasher, and other kitchen appliances are old or outdated, they could be adding a great deal of extra fees to your monthly utility bills and can be negatively affecting your efficiency and enjoyment in the kitchen. While it seems expensive, investing on new, energy efficient kitchen appliances will ultimately save you more in the long run. 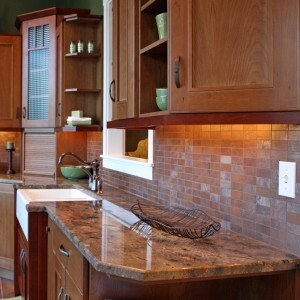 Lighting is one of the most important considerations to make when remodeling your kitchen and design. Design experts recommend surface-mount fixtures attached to your ceiling on a grid. This allows the kitchen to get even more light. Once you work out functionality and essentials, it’s time to consider what extra remodeling additions would make your kitchen a more attractive and functional space. For example, home additions such as walk-in pantries, in-kitchen tables/islands, and double sinks are desirable add-ons for 84% of all homeowners. When it comes to changing one’s home, there are many directions one can potentially go in. Should you put on additions, or invest your money in a new kitchen design? What abut a kitchen remodeling service vs. finally spending on some bathroom improvements? For those commissioning or constructing a custom home, the possibilities are even more endless. Capping it all off is the consideration of how much the home can be resold for. This is known as the return on investment — how much money you earn back from your investment when you sell your home, thanks to the renovations. As homeowners, how can we maximize the return on our investment in a home? We’ve compiled a list of statistics regarding the common desires and wishes of people buying homes, and how those may translate into substantial returns on investment for you. By orienting your quality remodeling decisions around these facts, you will be likely to have a great return on your investment in your home. Modifying your existing kitchen design might seem like a hassle, but kitchen design remodeling projects tend to net a 81.8% return on investment. 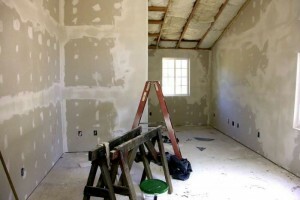 An addition will almost certainly pay off, with every 1,000 square feet jacking up a home’s resale price by 30%. Although buyers appear to prefer a single-story home to a two-story one, 66% of buyers want to have a full or partial basement. Even smaller fixes, like getting a replacement steel door, can net as much as 98% return on investment. Some quality home improvement projects might in fact be a must; 45% of homeowners consider it a necessity to have a full bath on the main level of the house. Home renovations and remodeling additions can be challenging and laborious, yet they are ultimately quite lucrative in terms of securing a high return on investment in your home. Comment below with your opinions, experiences and questions. It’s important for people to feel comfortable and content in their own home considering it acts as an escape from the hectic outside world. Too often do people examine their homes and think of all of the changes they want to make to create their ideal house, but instead ignore those desires out of fear of the financial costs. What people often overlook is how positive of an impact some quality remodeling could have on their home’s value. When planning some remodeling additions, the most influential changes will often come from rooms or areas that receive much use. Kitchens, for example, are a space where most people visit multiple times a day and will usually spend longer amounts of time in while preparing food. About 84% or more of homeowners find kitchen design to be such an important room that they believe a walk-in pantry, table space for eating, and a double sink are essential, or at least highly desirable. Some people may think of a kitchen quality remodeling project as a pricey expenditure that will only serve their personal tastes. However, if in the future a homeowner decides to sell their house, a mid-range kitchen remodeling project can have a great return on investment (ROI); these remodels have an ROI average of 81.8%. Even if extra bells and whistles aren’t enough to interest potential future buyers, just the extra space from home additions can be enough to counteract the costs. A 2005 study conducted by the National Association of Realtors found that every 1,000 square feet of remodeling additions can boost a home’s sales price by over 30%. Custom home additions do not have to be a dream project left on the back burner. Between some extra features and some quality remodeling, the cost of improvements will easily pay themselves off in the future. Bathrooms may not be the first thing that comes to mind when deciding on rooms you want to improve but they are relatively small, making bathroom improvements easier and less expensive than larger endeavors. The majority of homes with multiple stories have a full bathroom located on the top floor and only accommodate for a half bath on the main level. Recent trends in the market have found a distaste for the half bath with around 81% of owners desiring a shower on the first floor as well, about 45% of which consider it necessary. Especially for those who enjoy entertaining friends, kitchens are a common place for people to spend time while eating meals or just during social interactions. For this reason many people choose to remodel their kitchen design above all other custom home alterations. Some people may focus on extending the size with large home additions, but smaller design changes can also create a completely new atmosphere for a kitchen. Besides space for a dining room, table 84% of owners consider walk-in pantries and a double sink necessities. They’re not huge alterations compared to some, but can still have a great effect on the space. Some homeowners underestimate their ability to raise the value of their house with some quality remodeling. The size and location are only a few factors that go into play in real estate purchases. Extras can really push the price up when selling a home. 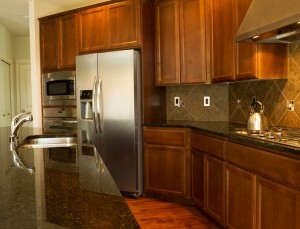 If that remodel of the kitchen was a success, you can expect an 81.8% return on your investment. Custom home additions can have a real impact on your home whether for personal use, or to increase value. Don’t slide down the ranks in the real estate market by ignoring changes you’ve always wanted to make. Check local listings to find quality custom contractors who can improve your home, and in turn, your lifestyle. Adding a new addition to your home can benefit you by getting you more out of your home, and can be a great alternative to selling your home for a larger one. Many new home additions also add value to your home, which can be useful down the road when you are looking to sell. If you’ve been considering expanding your home, here are a few addition projects that you may want to try. Installing a garage is thought to be one of the highest quality home improvement projects for a house. Today, 53% of house buyers look for a house with a garage that can hold at least two cars. In addition, garages are one of the easiest remodeling additions, as they don’t need finished flooring and dry wall, plumbing, or heating and cooling ducts. 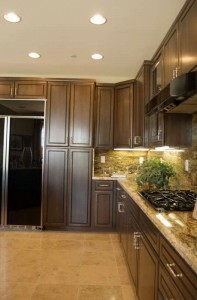 Kitchen remodeling services are one of the most requested home additions, and can help raise the value of your home. Even minor and mid-range kitchen remodeling projects have an average ROI of 81.8%. Modern kitchen designs offer new ‘green’ appliances that can help reduce your impact on the environment, and save you money. More than 84% of homeowners consider a walk-in pantry, table space for eating, and a double sink essential to a well functioning kitchen. With many businesses switching to work-at-home options, the home office is becoming one of the most popular remodeling additions. A home office is a perfect place to put all your technology and work supplies, and offers you the privacy you need to get your work done. A home office gives you complete control over your productivity, and can help you do your work efficiently without having to worry about distraction. 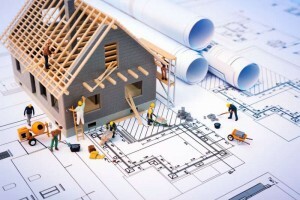 Whether you’re trying to take advantage of rising home prices by selling your home, or just want to improve your existing living space for, well, better living, then it’s time to consider some starter custom home improvement projects. Studies show that many U.S. homeowners have put off repair or renovations since 2008, and are finally making the investments they need. So if you’re considering custom home improvement projects, what are the best types of features to consider for a small-scale starter project? We’ll rundown some of our customers’ favorite additions, plus talk about some projects with a strong return on investment. Dormer windows add an elegant touch to both the inside and outside of your home. That means you can drastically improve your home’s curb appeal, while also making the most of your living space. Dormer windows are popular remodeling additions for a variety of home styles, and most contractors will be happy to provide a free quote for their services. If you don’t have room to add a full addition to your home, then doing some work to your basement can open up an entire new area in your home. From man caves to child playrooms, finished basements offer exciting new possibilities for homeowners. Plus, 66% of homebuyers want a partial or full basement when making a new home purchase. Over the past few decades, American homeowners have come to expect a lot more from their kitchen space. That’s why realtors say that even minor to mid-range kitchen renovation and remodeling projects have an average 82% ROI for homeowners. In fact, features like a walk-in pantry, table space, breakfast nook, kitchen island, or double sink are considered hugely desirable by 84% of homeowners. So if you want to improve your home’s value and get the most enjoyment, consider upgrading that kitchen. According to the National Association of Realtors, every 1,000 square feet of space added to a home boosts its eventual sale price by more than 30%. That means even modest custom home additions have a major impact on your home’s value. Popular additions to consider: a garage space (considered desirable by 53% of buyers), an extra living room, and bathroom improvements (45% of buyers consider a full bath on the main floor necessary). If you want to transform your home into the custom home of your dreams, then it’s time for those renovations you’ve been putting off for too long. Best of all, you’ll be investing in your future by improving the value of your new and improved custom home. Bad news, germaphobes. Studies agree that, well, most homeowners and workers are kind of gross. Or, at least, personal hygiene isn’t as big of a priority as it should be. According to a recent survey, “Only 60% of women and 38% of men wash their hands after going to the toilet,” according to Sourceable.com. Thankfully, new bathroom improvement and quality remodeling projects can address the problem. In the commercial sphere, new sensors “monitor hand-hygiene compliance in any zone or workflow where hand wash protocols are required, including restrooms, break rooms, exits, and raw food or ready-to-eat (RTE) prep areas,” Sourceable.com continues. Of course, it is possible to use the same motion-sensing technology at home if it suits you. While it may seem a little over-the-top, it could be a fun way to teach the kids good habits. Okay, this one is a lot better. Once again, new technologies make it possible to install certain bathroom fixtures that clean themselves. For instance, new products automatically mist bathrooms with anti-bacterial spray. 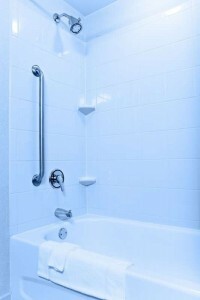 Heated floors and new blower drying systems make it possible to keep bathrooms dry and moisture-free. In turn, this prevents mold and grime buildup. These are great features to include in a full bathroom on the first floor (a feature 81% of homeowners want) — the bathrooms that get the most day-to-day use. Finally, when contacting a custom home or custom bathroom contractor about quality home improvement, don’t forget about small, but critical details. The right doorknobs, for instance, transmit significantly less germs than comparable materials — and that’s great news for germaphobes. In one study, copper knobs and handles contained 90 to 100% less germs than chrome or brass fixtures. Most homeowners (53%) want two car garages and a basement (66%), but — although they might be less likely to admit it — there’s a pretty good chance that they want a bathroom that cleans itself, too. Now they can have one. New technologies are going a long way in terms of bathroom improvement and cleanliness. More homeowners are making optimal use of kitchen space. For example, The Tennessean advises, “Take your cabinets to the ceiling, rather than leaving a ledge to collect dust and dated decor.” In addition to building cabinets and storage that go all the way up to the ceiling, you may also want to consider adding some open shelving. Open shelving is functional and practical, while also giving homeowners the perfect means of displaying items and adding personal touches and warmth to their homes. When it comes to home additions and quality remodeling, some things are obvious. (For instance, bigger is better. In fact, adding 1,000 square feet to your home increases its value by as much as 30%.) What is not obvious is how to add color and a certain oomph to homes — and particularly kitchens — without overdoing it. One emerging trend is simply to paint cabinets. “The most classic choices include white, off-white, and gray,” The Tennessean writes. It is becoming more popular to paint cabinets “a contrasting accent color, like charcoal gray, black, or even blue or green,” the publication continues. Choosing metallic accents for countertops and lighting fixtures is also a trendy choice at the moment. Kitchen design can be simple, fun, and a valuable investment down the line, too. Revamp kitchens with more cabinetry, open shelving, painted cabinets, and metallic accents. Small bathroom improvements and slight adjustments to kitchen design can go a long way — and they can be subtle as well (i.e., perfect for trendy, middle aged adults and Americans ages 65 and up). Here’s what to do: Opt for lever-style door handles whenever possible. Small and/or circular knobs can aggravate joint pain, such as arthritis. Similarly, select paddle handles for sinks — or go with kitchen and bathroom sinks that are motion-activated and do not require any handles at all. All of these things can be added to equally desirable features, like double sinks, a walk-in pantry, and open, spacious kitchens (favored by 84% of home buyers). Another important step when building custom homes that are suitable for all ages is to install fall-proof features. Even something as simple as a full bathroom on the first floor (a feature already desired by 81% of homeowners) can do wonders for preparing homes for senior living. Some even use the adjoining room as an office, nursery, sewing room, or den before converting it to a master bedroom later in life. To keep homes senior-friendly, cover kitchen and bathroom floors with tile with at least some texture, and, when applicable, make sure any carpeting is low to the ground with a tight weave. Home design isn’t just about looks. More Baby Boomers want to build or purchase homes where they can grow old — some senior-friendly adjustments, like lever and paddle handles, a full bath on the first floor, and slip-proof tile makes it possible. Small tweaks to kitchen design can reap considerable rewards; in fact, minor kitchen projects are especially profitable right now, with an average return on investment (ROI) of 81.8%. What constitutes a small, but quality remodeling venture in the kitchen? A Jan. 30 Consumer Reports article predicts that upgrading to a “handle-free kitchen” will be a popular choice in 2015. In addition to simple motion senors in place of knobs or handles to turn faucets on and off, homeowners are turning to new technology to open appliances as well. For example, a dishwasher model in the works will respond to knocks, opening when consumers knock twice on the top of the appliance. Eighty-four percent of homeowners reveal that they prefer a walk-in pantry, ample table space, and a double sink. Needs and desires are becoming increasingly hi-tech. Some new features are relatively modest and straightforward: a fair amount of homeowners want new counters with wireless chargers built right in. Other desired technologies can be infinitely complicated. A wired home is no longer a thing of the future, nor is it something reserved to the science fiction genre. It is already possible to control appliances from tablet PCs and smartphones. Homeowners can use smartphones to make certain they have turned the oven off from work, or even lock the fridge from young children’s prying fingers, also using their phone. While it is an increasingly desirable feature, homeowners should make certain to invest in security and backup systems for the new technology. Some remodeling additions and quality home improvements, such as a new steel door with a return of 98%, are a no-brainer. The newest quality home improvements of 2015 will focus on the kitchen — and will feature handle-free and digital technologies. © 2015 Double Check Builders. SEO Services by Mimvi New York SEO Company.